2 and 3 bedroom furnished apartments provide spacious and comfortable accommodation. Inclusions: 2 bathrooms, internal laundry, full kitchen with dishwasher and secure parking. Centrally located in a pleasant residential environment within easy reach of public transport, shops, clubs, restaurants etc. ANZ Stadium, Sydney Aquatic Centre. Sydney Showground is alive with the Royal Easter Show. From the moment we were warmly greeted by Magre' the whole experience was outstanding. We stayed for a month whilst caring for our son who was having treatment at Westmead Hospital. The location was great for that purpose with plenty of eating options and a supermarket only a short walk away and also the very handy shuttle bus service which took in the whole Parramatta area including a drop off point near Westfield Shopping Centre. There were plenty of very pleasant walking places to de-stress including the lovely Parramatta Park and the walking track along the river. The unit was very roomy with everything we required. Handy outdoor area to get some fresh air with the added bonus of a park to the rear of the unit. It was great to have our car in a secure parking spot below the unit as it was only required for our daily trips to the hospital as everything else we required was within walking distance. Being from country Victoria the thought of being in Sydney for a month was somewhat daunting however the surrounds of the apartment immediately made us feel at ease and it immediately became our home away from home. We will definitely stay at this property again if we are required to return to Westmead but would also be very happy to return for a more pleasant break at some time in the future. Thank you Magre' for your caring hospitality and for making us all feel very welcome at all times. We are happy to hear everything suited you so well in our apartment and you felt at home. It was a pleasure having you stay with us and hopefully you will be able to come again, and for a less stressful time. We will pass on your thanks to Margre. We stayed here for two weeks while recovering from my daughter having her tonsils out. Easy and quiet location. Plenty of take out places deliver. Locked secure garage. Clean and well facilitated apartment with a full laundry which I loved. Coles just around the corner and Westfield not far away. Fantastic hairdresser a couple of blocks away. We have to be in Sydney every year for medical purposes at Westmead children's hospital, so nice and close for that. Basic, but fun play equipment just behind the place, or a short drive to the coolest play park at Parramatta park. Thanks Margre, we'll see you next time! very clean and cosy apartment, the owner is a lovely person, very nice and sweet. would definitely recommend to anyone. only downside was absence of heating in bedrooms which would have been perfect. overall great place. 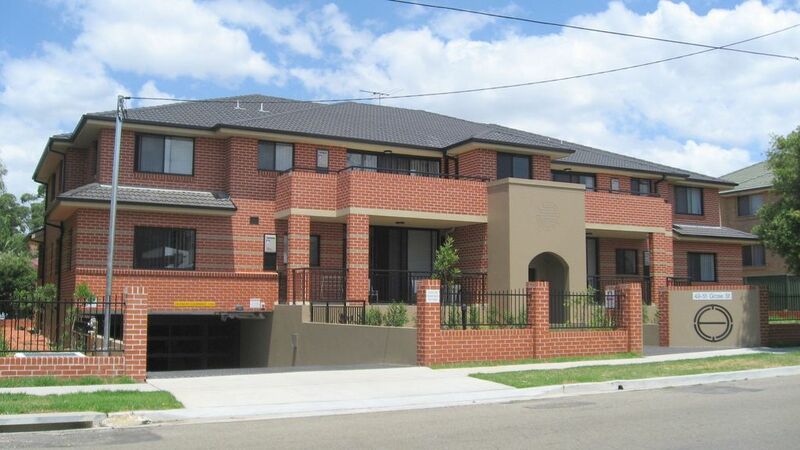 nice and clean easy access close to Parramatta, quiet street.